Ross, worth $2.9 billion according to Forbes, has made his names in distressed assets investments and rose to fame turning around Bethlehem Steel as well as Burlington Industries. EPOCH TIMES: When you look at American manufacturing today, have some of your predictions about Chinese competition from 2003 come true? 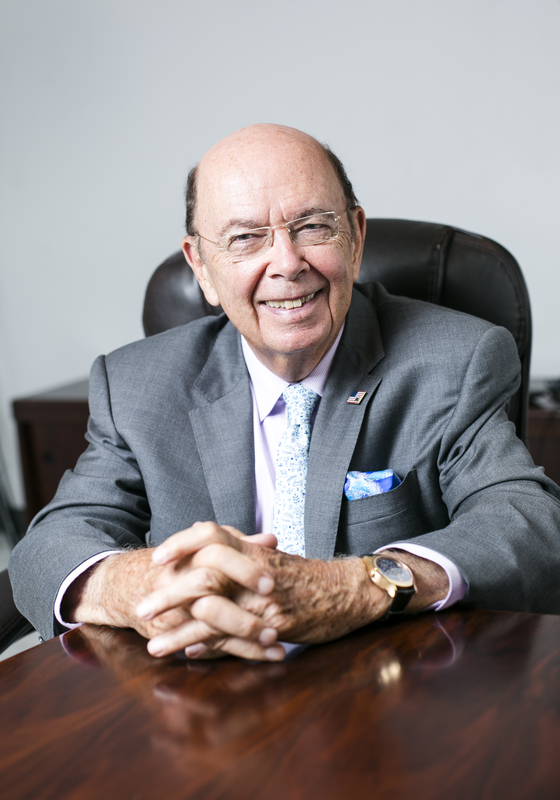 WILBUR ROSS: What we argued against then, was dumping; namely selling products for less in a foreign market than their true price in your domestic market. China is so much about jobs as opposed to profits. That’s not legitimate competition. If someone can make things more inexpensively in their country and sell it here that’s fine with me. But it shouldn’t be that they have one price in their country and a lower price outside. EPOCH TIMES: Why do you think China did this? MR. ROSS: I think they had a period of overcapacity and because China is so much about jobs as opposed to profits, it was very important for the government to maintain jobs. So to maintain jobs they had to maintain production, even though there was not enough demand for it. The way they tried to solve the problem was by dumping it outside. EPOCH TIMES: The United States is probably the most innovative country in the world, something that cannot be said about China. MR. ROSS: China is coming along in terms of innovation. They now have the world biggest and fastest computer. That would have been unimaginable a decade ago. They’ve launched spaceships into outer space. They have not yet gotten to be as innovative as the United States is, nobody has been as innovative. Year after year the United States gets more patents than any other country by a wide margin. Interestingly, it’s Japan that comes in second. They have not yet gotten to be as innovative as the United States is, nobody has been as innovative. EPOCH TIMES: Why is there this difference, especially between the United States and China which has mostly been copying and stealing technology? Now they have something, as you said, but they lack innovation versus the United States which has always created things? MR. ROSS: The United States is basically a free market economy and their entrepreneurship has been highly prized here for centuries and centuries so there’s a real tradition of risk-taking. Innovation involves a lot of risk-taking. A state-owned enterprise is much less likely to be a big risk-taker then private capital. Since China had been so dominated by the state-owned enterprises it’s hard in a big bureaucratic system to be innovative. Look at the U.S. government itself, what interesting innovations have they come up with? When that government shows panic it makes people more frightened, not less frightened. So it shouldn’t surprise one that a very state-dominated economy has some trouble. In recent years China has made big strides in some areas. They’re also are putting much more emphasis on engineering and technical education in their university system. Something like 42 percent of Chinese graduates this coming year will be in math, engineering, science, or technology. That’s about 3 times the percentage in the United States. EPOCH TIMES: You are talking about quantity. EPOCH TIMES: China is always big on quantity, but sometimes the quality is not as good. MR. ROSS: If you have more engineers and more scientists, just on a probability basis, the probability of them discovering something becomes higher. EPOCH TIMES: What about the current problems in China, like the stock market? MR. ROSS: We think that China has two separate problems right now. One is the market itself, the equity market, and that got completely out of control. In the June period, many more new brokerage accounts were opened by retail investors than had been in the whole prior year. And most, two-thirds of those who opened accounts, did not have a high school degree. So it was very unsophisticated people who had been lured in by the huge appreciation in the Chinese market. Still, only 8 percent of Chinese families own securities. You also had the phenomenon of margin trading. Fifteen percent of the entire Chinese market was on margin at the time of the peak of the bubble, 15 percent of the freely tradeable shares. That’s a huge percentage. So you had all those factors compounding each other, then the bubble burst. EPOCH TIMES: What do you think about the official growth numbers? MR. ROSS: The Chinese economy clearly is not growing at anything like 7 percent. We have felt for a couple of years that those figures were very, very generous. If you look at physical indicators—electricity consumption, natural gas consumption, oil consumption, cement consumption, steel consumption, telecom consumption, retails sales—if you look at all those indicators, none of them were growing at a rate that was equal to 7 percent and neither were the exports. So we have felt for some time that the real growth is something less than 5 percent, probably nowadays something less than 4 percent. Many people in the outside world believed the 7 percent growth and now that it’s become pretty clear that it’s gone there’s been a readjustment of people’s thinking. Since that came as a shock to a lot of people, although it shouldn’t have, it produced spillover effects into our markets as well. EPOCH TIMES: Do you believe in economic reform in China? MR. ROSS: I think what they’re trying to do is several things all at once and that makes it very challenging. They’re trying to make the transition, but meanwhile they’re doing the very-much-needed anti-corruption drive and that in a strange way has hurt consumer spending. People are afraid to show they’re spending a lot of money, even middle-class people and even people who have nothing to do with corruption. You are trying to get rid of some of the huge amount of corruption in the country and yet it’s hurting the transition to a consumer-based economy. EPOCH TIMES: What can the regime do? MR. ROSS: They need to continue lowering the cost of borrowing there. It still is very high relative to developed markets. The bank reserve requirements, well they’ve cut them too, they’re very high relative to those elsewhere in the world. They need that stimulation for the economy. The other thing that they need to do, and I believe they will in the 13th 5-year plan which will come out in October. I think this time there will be much more focus on social safety network, on education, on healthcare, on some of the parts of the economy that have not kept pace with the overall economic development of the country. I think they need to do that and I believe you will find that they do it with the October announcements.